Current Electric - Electrician based in Horsham, West Sussex. Current Electric have been trading for over 2 and a half years in Surrey, London, Sussex and surrounding areas, and is run by Nick Wales as a sole trader. 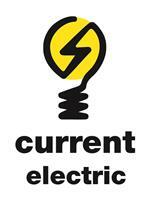 Current Electric is a fully insured and qualified electrician & registered with the ELECSA Part P scheme. Holding over 10 years’ experience as an electrician, Nick Wales holds a full portfolio of excellent work and testimonials, some of which can be found on the Current Electric website. Nick Wales undertakes all aspects of residential and commercial electrical work, and provides full certification upon completion. Nick Wales also holds strong experience in project managing renovation works, including new kitchens, bathrooms and general refurbishment projects. If you have any questions, please do not hesitate to contact me on the details that have been provided.